My sister in-law, a librarian, lent me a cookbook a few weeks ago. 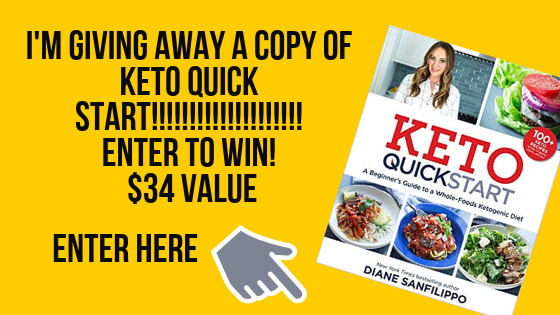 I was super excited and it was The Paleo Diet Cookbook by Loren Cordain. As I read it, my excitement turned to disappointment. Mr. Cordain shared a lot of recipes but not realistic recipes you and I would want to make. His view on dessert was to eat an apple. Never bake something with almond flour because “cavemen” wouldn’t have done that. Instead he encourages you to cheat on your diet at least once a week so you stay motivated to stay on the diet? Wouldn’t baking something with almond flour be the better advice? When my sister in-law notified me she had some more cookbooks for me to read I was hesitant. 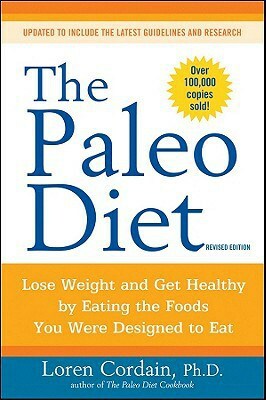 She had sent me The Paleo Diet by Loren Cordain and Make it Paleo cookbook by Bill Staley and Hayley Mason. I immediately started reading the Make it Paleo cookbook. The book is lovely! Every other page is filled with a beautiful full colour photograph. The recipes are down to earth and amazing!!! I made two recipes from it that very night. Then I took the cookbook to work and religiously shared it with everyone like I was the official ambassador for it. Conversations went something like this, “Hi! OMG you have to read this book! Hi! Look at these cookies! Can you believe this cake is gluten free, it’s so fluffy looking. Checkout the recipe for the bbq sauce I made.” Needless to say I was ecstatic! You can tell Bill and Hayley put their heart into making this book. Every recipe I tried was a winner! I can honestly say I rushed out to purchase this book. *If you want to purchase it you can buy it from their website for $30. Following the good vibes I was feeling from the Make it Paleo cookbook I started reading The Paleo Diet while at the beach. Hmmm I got into 10 pages and I felt this book was not for me. I forged on and read the entire book. Here is what I didn’t like…. pg 18. A big problem with low-carbohydrate weight loss diets is what they do to healthy-promoting fruits and vegetables – they nearly eliminate them. Because of a technicality – a blanket restriction on all types of carbohydrates, even beneficial ones, to between 30 and 100 grams per day – fruits and veggies are largely off-limits. This is a mistake. Fruits and vegetables – with their antioxidants, phytochemicals, and fiber – are some of our most powerful allies in the war against heart disease, cancer, and osteoporosis. Yet just one papaya (59 grams of carbs) would blow the daily limit for two of the most popular low-carbohydrate diets. Eating an orange, an apple, and a cup of broccoli and carrots (73 grams of carbs) – just a drop in the bucket to hunter-gatherers, whose diets were rich in fruits and vegetables-would wreck all but the most liberal low-carbohydrate diets. Humanity’s original carbohydrate sources-the foods we survived on for millions of years – didn’t come from starchy grains and potatoes, which have high glycemic indices that can rapidly cause blood sugar to spike. Instead, they came from wild fruits and vegetables with low glycemic indices that produced minimal, gradual rises in blood sugar. These are the carbohydrates that you’ll be eating on the Paleo Diet. These nonstarchy carbohydrates normalize your blood glucose and insulin levels, promote weight loss, and make you feel energized all day long. Ok, nice of you to say to your readers that the two most popular low carb diets, I can only assume Atkins is one of them that he is referring to, would tell people not to eat vegetables and fruits. I follow the Atkins diet and I’m offended by this. Then of all the examples of fruit that a low carber would eat, he uses an orange, apple, and carrots? What about strawberries, raspberries, and blueberries? Did he consider that someone might chose to eat a red pepper to get their vitamin C? One half cup of raw red sweet pepper contains 142 mg of vitamin C and 20 calories vs one medium orange which contains 70 mg of vitamin C and 62 calories. For breakfast he tells people to eat half of a cantaloupe and strawberries (pg. 152). In the chapter about what foods to eat, what foods not to eat, and what foods to eat in moderation he has tea listed in the moderation category but tea is listed almost daily as part of the meal in the meal plan chapter. He doesn’t allow you to eat the skin on the chicken or any meat that is not lean. Hmmm I thought cavemen ate the wholeanimal? He is against saturated fat. What I did learn was that grass-fed beef has yellow fat not white like regular grocery store meat! It is a quick way to tell how your animal was raised. I found that intriguing. This book has encouraged me to consider purchasing grass-fed beef and free range chicken meat. I was already leaning towards that before reading the book but it did help provide me with more knowledge. Making a commitment like that is a financial commitment and that is what is holding me back. Feeding grain to cattle has a harmful effect on nutrients as well: cattle fed on pasture alone produce meat that contains five times more conjugated linoleic acid (CLA) than grain-fed cattle do. Conjugated linoleic acid is a good type of fat that may be one of our most powerful allies in the war against cancer (AND I’m going to add, is an incredible fat burner! ); in studies of laboratory animals, tiny amounts of CLA have effectively reduced tumor growth. Grass-fed livestock also produce meat that contains four times more vitamin E and selenium than grain-fed animals have. Both vitamin E and selenium are powerful antioxidants that protect us from cancer and heart disease. As you can tell I’m not a fan of The Paleo Diet by Loren Cordain and would not encourage you to rush out and buy it. If you have read it I would love to hear your thoughts. 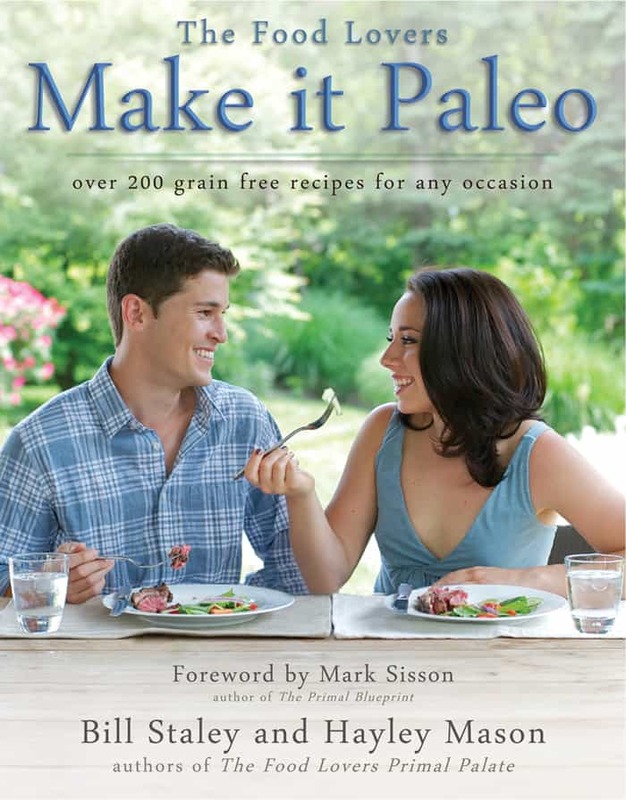 I would however, encourage you to purchase Make it Paleo. It will become a staple in your kitchen. In the following posts I’ll share a few recipes from the book so stay tuned! You made some really good points! 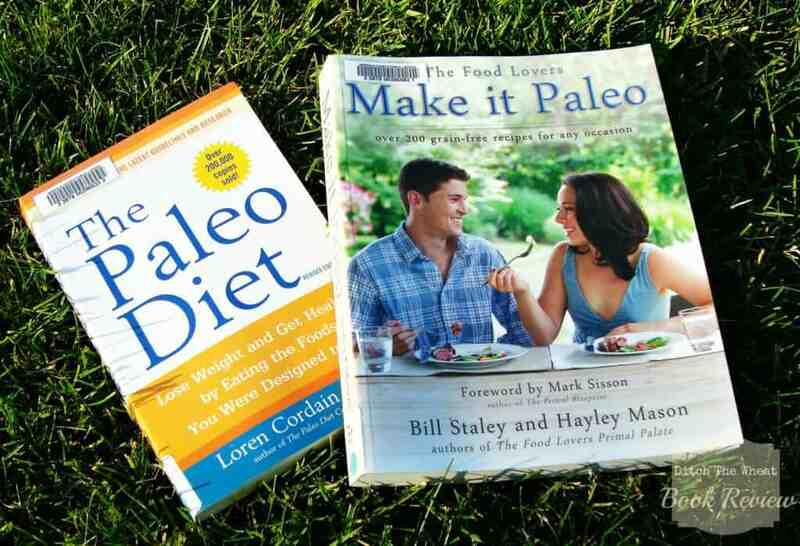 I like both books…Make it Paleo is put together beautifully. Loren Cordain gets into the science part, which I liked to nerd out on. You brought up some good contradictions, though. The one that left me scratching my head was one of the things you brought up…if a tribe of people worked together to bring down a big animal, would they really avoid the fatty parts? I don't think that's realistic, because those organ meats were probably prized because you can taste how rich and nutrient-dense they are. Good post! I've been reading more about meat eating from a paleo perspective. I've learned that lean meat like turkey and chicken is encouraged in the absence of grass-fed beef or free range chicken because it is lower in fat which is similar to the fat content of grass-fed beef. I'm understanding more where Cordain was coming from. Any other books you recommend? I'm reading Maria Emmerich's Secrets to Controlling your Weight, Cravings and Mood: Understand the biochemistry of neurotransmitters and how they determine our weight and mood.